The DHI method (short for Direct Hair Implantation) is an innovative hair transplant method that, for the first time, does not require any complicated surgery. This not only reduces the risk of infection but also shortens the treatment time. Another advantage: the hair doesn’t necessarily have to be trimmed or shaved before the procedure. Individual hairs are removed with a 0.7-millimetre microstamp and, using a tiny, DHI-patented needle, implanted into another location on the scalp without any incisions or scars. The area at the centre of the back of the head is particularly well-suited for extraction, as it is hardly ever affected by hair loss. In contrast to standard transplant methods, the survival rate of the implanted follicles is up to 95 percent. The final result is apparent after approximately one year. The first new hairs can be expected to appear as soon as after approximately two months. After the treatment, only minimal postoperative medication is required. Furthermore, the hair and scalp also need to be kept moist using a moisturising spray for three days after the procedure. The DHI method is not only suitable for implanting hairs on the scalp, men’s beard and chest hairs can also be implanted as well as eyelashes, eyebrows and pubic hair. On the day of the transplant, the new hairline will first be drawn, as discussed in advance. 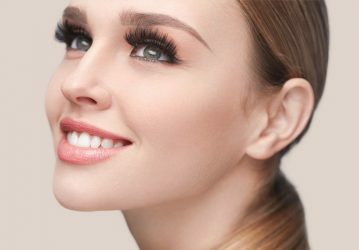 Only then are the individual grafts extracted, under local anaesthetic and in accordance with the treatment method which is appropriate for the individual. Implanted in their new location in the scalp, up to three hairs can be implanted at the same time with this method. A few instructions should be noted in order to prevent any possible complications during the hair transplant. Do not take any acetylsalicylic acid-containing painkillers for ten days prior to the treatment. You should also refrain from using any minoxidil-containing hair loss treatments for at least one week. As well as going to bed early, we also recommend that you limit smoking and drinking alcohol on the eve of the treatment. What’s more: on the day of the treatment, wear loose, comfortable clothing which does not need to be pulled over the head to be put on or taken off. The direct hair implantation is usually carried out under local anaesthetic as an outpatient. As a further development of the FUE hair transplant, no complicated surgery is necessary for the innovative DHI method. We don’t even need to make any incisions to extract the hair. Rather, the donor hairs are extracted from the centre of the back of the head using a 0.7-millimetre patented microtool. This approach not only reduces the risk of infection, but also avoids unsightly scars. After this, the extracted grafts are stored in a special, temperature-controlled solution. The aim here is to minimise the amount of time which the hair follicles remain outside the body as much as possible. In this manner, the drying out of the implants is prevented and their long-term growth optimised. Without any additional external influence, the hair follicles are then implanted into their new location on the scalp. 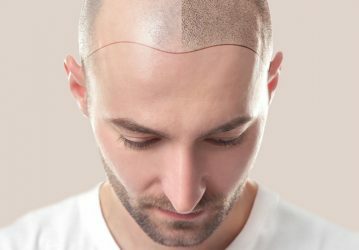 Trimming your hair, or even shaving it off, before the transplant is advantageous, but by no means necessary. 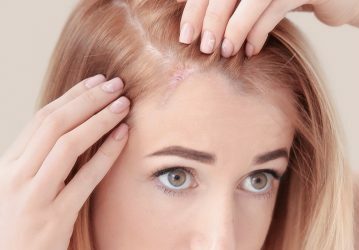 After the hair follicles have been extracted one by one, they are implanted back into the scalp in the sparse area which is to be treated using a patented tiny DHI needle. This also takes place without any incisions or scars at all. As a result of being able to individually control the growth direction, angle and depth of the implants, the modern, unique implantation method guarantees an extremely natural result for the rest of your life. 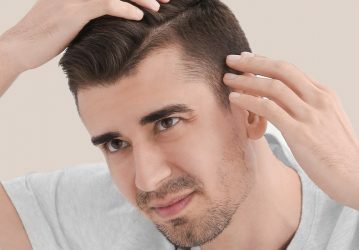 In contrast to traditional hair transplants, this minimally-invasive method takes little time and, in addition, is almost pain-free. What’s more, the innovative procedure is not associated with any large amounts of time off. After the procedure, a bandage must only be worn on the first day after implantation. Generally, the first implanted hairs begin to grow after around two months. The final result is then achieved within one year. After the procedure, the area of extraction is protected with a bandage. This must only be worn for one day. You are able-bodied once more directly after the operation, however we do recommend that you limit physical exertion for a few days. In addition, it is essential that you use sunscreen for at least three months. It is only by doing so that you can prevent damage to pigmentation on the top of the head. 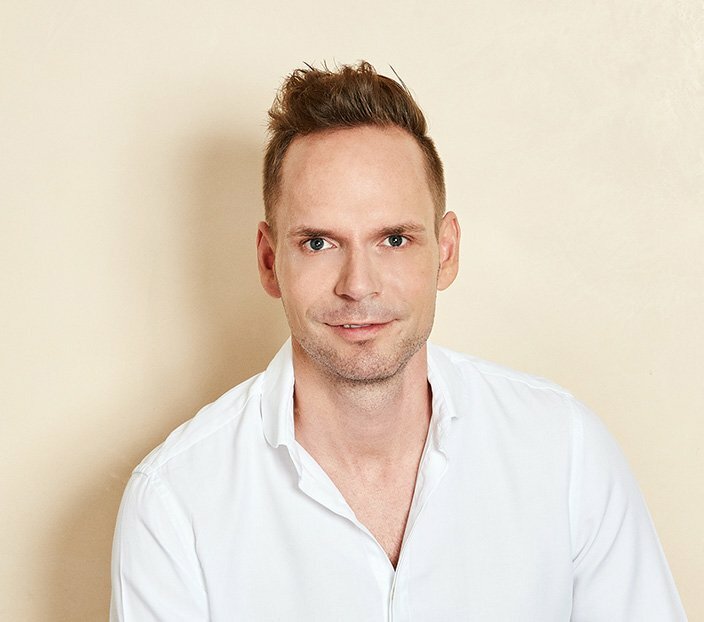 In order to be able to objectively assess the results of the direct hair implantation, we advise our patients to have regular check-ups in our practice. The hair and scalp should be kept moist using a moisturising spray for the first three days after the procedure. The hair and the transplant area may be washed for the first time from the fourth day after the procedure – up to twice daily. We recommend that you use a special shampoo for this, which you should continue using for subsequent washes. Important: until the scab has come off by itself after around ten days, be sure to only massage in the shampoo very carefully. Newly-implanted hairs may also fall out during this time. This is completely normal. We recommend that you wear a head covering to protect the transplant area from the sun. 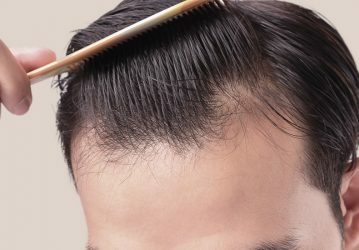 After a direct hair transplant, the final result can be expected after approximately one year. In order to be able to assess this objectively, we ask our patients to make use of regular follow-up appointments. High-quality nutritional supplements have proven themselves a successful option for therapy in the fight against hair loss, as they provide the hair root with important nutrients from within. Special products which contain caffeine, urea and lactic acid, as well as niacinamide and fructose, are also suited for external therapy. Monoxidil-containing scalp products, available for daily use as a solution or a foam, are equally well-suited. However, a visible improvement is only first to be expected after six months.